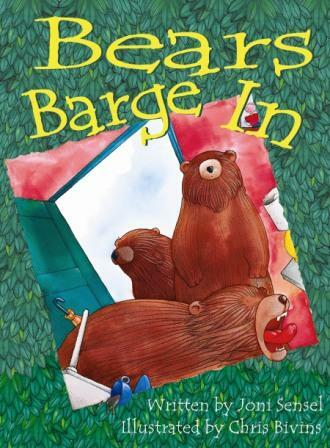 It’s no wonder that Bears Barge In by Joni Sensel and Chris Bivins won an ASPCA Henry Bergh award. The book is fun and educational, and has a wonderful message about our relationship with other animals. Years ago, I worked at a wildlife center, and much of our work was focused on remedying the human-wildlife conflicts that result when people encroach on animal habitat. I’ve seen firsthand what happens when people and wild animals try to use the same space — and how those conflicts are only compounded by a widely held fear of wild animals. Teaching children not to fear other animals, and to consider their interests, is one of the most important jobs we have as parents, teachers, and caregivers. Bears Barge In illustrates beautifully why people need not fear even the largest and wildest of animals if only we leave them alone!